I’ve created this August date sheet for you to download. Just head over to the Free Gift section and read the rules before downloading. Only available until August 5 so don’t miss it! 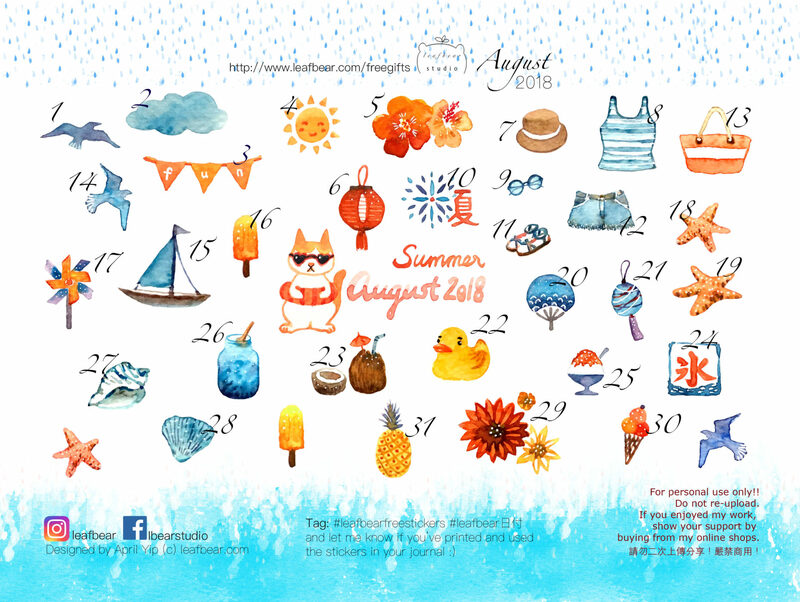 This time the theme is about summer and I hope you’ll enjoy it! If you’ve downloaded it, please leave a comment here or tag me with #leafbearfreestickers on social media so that I know :) Don’t be shy to show me how you make use of these little stickers!